Help prevent damage caused by overdrying and spend less time in the laundry room with this WHIRLPOOL Cabrio 7.0 cu. 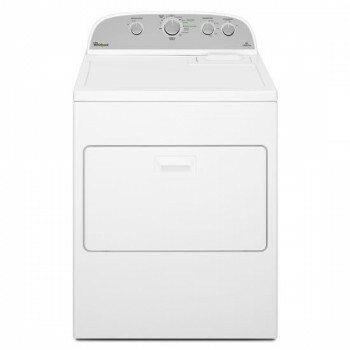 ft. High-Efficiency Electric Dryer featured in a classic white finish. It evenly dries loads the first time with the AccuDry sensor drying system by measuring moisture and temperature levels. The sensors will automatically stop the cycle when the load is dry, to help prevent damage from overdrying. Its high-efficiency saves time and energy.